Backups are very important because we all want to keep our data safe. More than that, backups allow us to restore our data in case we ever lose it due to unexpected errors or accidents. The beauty of iPhone is that we can save multiple backups. Now, multiple backups can seem like a redundancy to many of you, but it’s a lot better to be safe than sorry. There may come a time when you wish you would’ve made multiple backups of your data. Why not avoid that moment? That’s why today we will learn how to save multiple iPhone backups, step by step, and how to make sure we don’t overwrite old backups in the process. This comprehensive and simple guide will help you create these backups whenever you need without any hiccups. Let’s get started! Do iPhone Backups Overwrite Each Other? The answer to this question is yes, existing backup files are overwritten as soon as you make a new backup. This doesn’t mean that backups are erased, they’re simply updated. This is nothing new: iTunes and iCloud backups have always been incremental, meaning that the existing file is always overwritten on updates. The good news is that there are ways to archive and preserve your backups if you want to. For example, if you made your backup through iTunes on your Mac, you can archive the backup if you want to preserve it. If you’re running iTunes on Windows, then you’ll have to find the backup folder and rename it before you make a new backup. iCloud backups are different because you only get one and that one backup will be updated each time you make a new one, so keep that in mind. Now that we’ve established that iTunes and iCloud backups are incremental in nature and that every time you make a new one, the old one is updated. So let’s discuss how to make these backups in the first place. As you can imagine, there are different solutions and we’ll be looking at each of them in turn. You’ll find that iTunes and iCloud are not capable of selectively creating backups of certain apps, but luckily we have a tool that can help you. iMyFone iTransor allows you to selectively backup and restore your data, which iTunes and iCloud can’t do. This piece of software also allows you to transfer your data whenever you get another device. 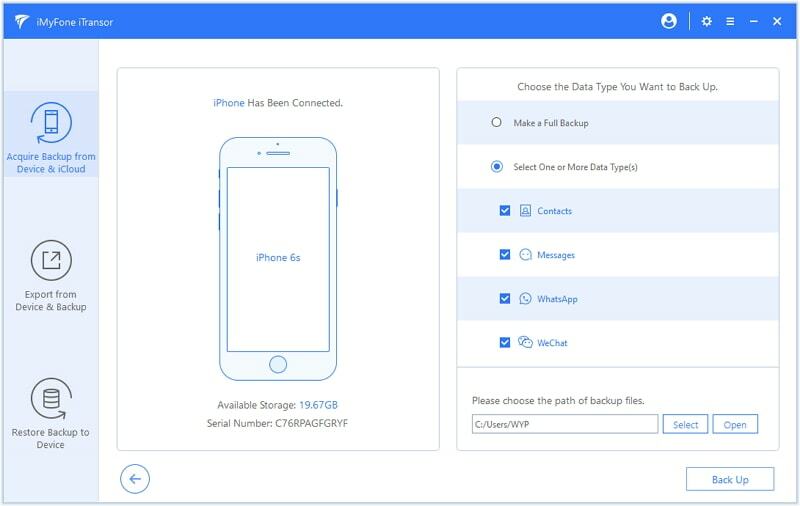 Step 1: On iMyFone iTransor, choose the “Acquire Backup from Device & iCloud” option that you’ll find on the left panel and download the iCloud backup. Step 2: Log into your iCloud account. Keep in mind that iMyFone respects your privacy and security, so no records of your Apple account information will be made. Step 3: From the list of backup files, choose the one you need and click on “Next” in order to download the iCloud backup file. Step 4: Once the download is completed, you’ll be able to export or restore the data. If you wish to download other iCloud backups, go back to Step 1 and start all over again. Step 1: On iMyFone iTransor, select the “Export from Device & Backup” option that you’ll find on the left panel and then click on “Export from Backup”. Step 2: Once you see a list of the backups made by iTransor, iTunes and iCloud, select the one you need and then click on “Next”. Step 3: Select the kind of data that you wish to export from the backup file, whether it’s messages and call logs, data from third-party IM apps, photos and videos, memos and others. Step 4: The program will scan the backup file you selected and you’ll be able to see the details once the scan is complete. Then, you can choose the items you want to export and then click on “export”. Once you do that, you’ll have to choose the format and the location where you want the exported items to be saved on your computer. Wait until the export process is done and then you’ll be able to use the items on your computer whenever you need. Step 1: On iMyFone iTransor, choose “Acquire Backup from Device & iCloud” and then click on “Backup Device”. Step 2: Connect your iOS device to the computer for the program to recognize it and don’t disconnect it until the process is done. 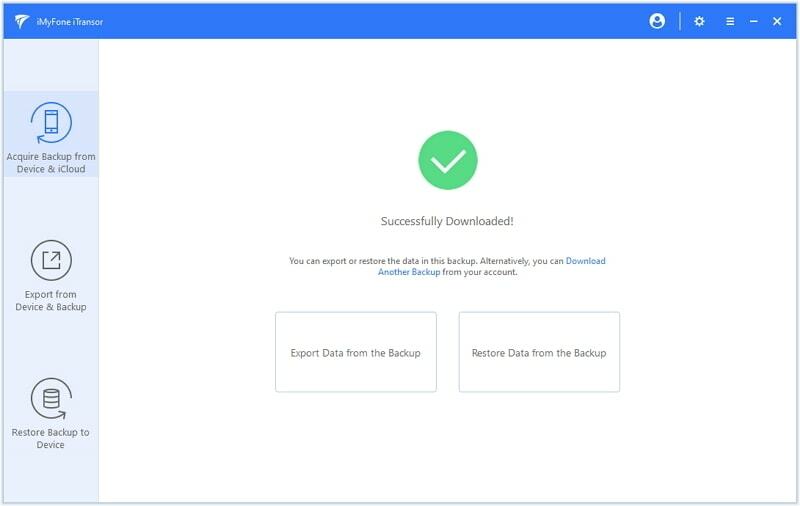 On the right panel, you can choose between making a “Full Backup” or selecting “One or More Data Type(s)” which means you can select specific files. Select the choice that’s best suited to your needs. Step 3: Once you select the kind of backup you need, the program will begin the process and you’ll be notified once the backup is done. Now you’ll be able to view and export the backup. Whenever you need to backup your information, you can trust that iTransor will help you do the job without any hiccups. As you can see, the process is very simple and you only have follow a few steps to create backups of your data whenever you need. iTransor also makes it very easy for you to restore any previous backups on your iCloud or iTunes and download them to your computer so you can use these files whenever you need and keep them safe. We invite you to try these methods to save multiple iPhone backups and to merge current data with previous iCloud and iTunes backups. 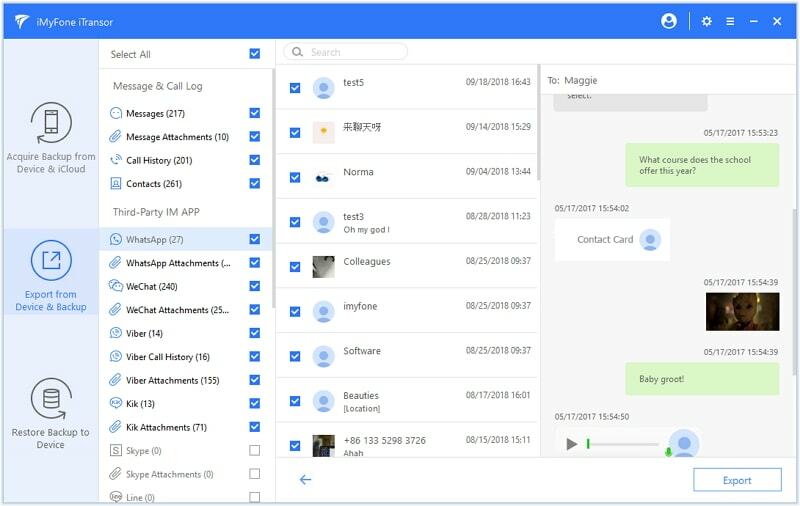 Tell us all about your experience with iTransor on the comments below and let us know what you think!